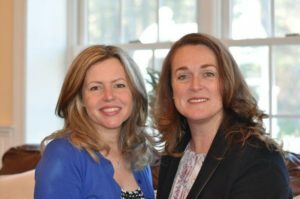 Cottage Caregivers, LLC strives to be the premier home care resource for clients on the South Shore and southeastern Massachusetts. As a locally-owned business, serving local clients, we’re committed to providing professional, non-medical home care to the people of Plymouth, Norfolk, and Bristol Counties. Traditionally better than assisted living facilities, our agency offers customized, affordable, basic home care services, which allows your loved ones to maintain their independence and stay in the comfort of their own familiar surroundings. We have the experience to create an environment of complete care, convenience, and companionship that all seniors deserve, and it shows in everything we do. All our caregivers are enthusiastic and passionate about the people they care for. As a company, we strive to make a difference to people’s lives. Throughout our time in the elder care industry, we have developed flexible effective at-home services that are always centered on our client’s needs. With Cottage Caregivers, there is no sub-contracting or service agreements based on our convenience. From start to finish, we provide your loved ones with the personalized attention and assistance that is focused on their emotional well-being (and that of their families), and brings devoted care home on a daily basis. Our philosophy is simple: provide EXTRAORDINARY support and care which enables people to remain in their own homes to pursue the lifestyle they’ve chosen, regardless of their disability, age, or geographic area. 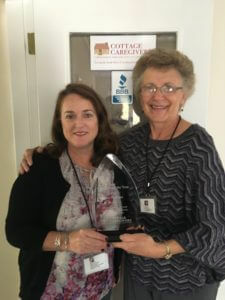 Cottage Caregivers is a member of Companion Connection Senior Care, a national membership organization of non-medical home care agencies. As a member, we have access to recognized experts in the field of home care and the most current educational resources. This enables us to provide the highest level of care to our clients. Call Cottage Caregivers today at 781-430-8599 to get started.